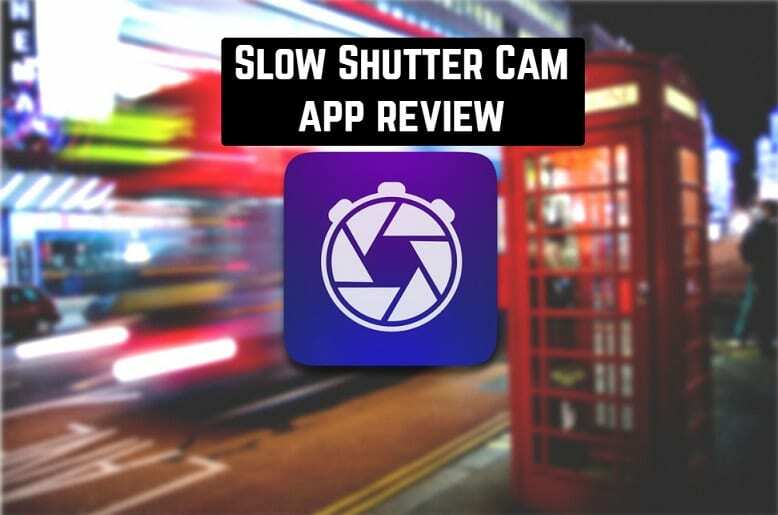 In the Slow Shutter Cam application, there are several modes for shooting: Motion Blur mode, Light Trail mode, Low Light mode. Each of the three modes has a slider for adjusting the intensity of the effect and a second slider to set the shooting time. Above (in the portrait mode) or on the left (in landscape mode) are buttons for turning on the flash, opening the live preview window, locking the exposure, fixing the focus point, and switching cameras. 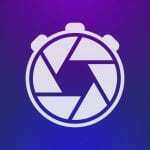 The Motion Blur effect is similar to the shutter priority mode on digital SLRs and allows you to show movement in your photos, for example, the residual image of moving objects and the waterfall effect. The Light Trail mode emphasizes any light source in the frame and allows you to draw with light, moving the phone during shooting or fixing the movement of moving light sources, for example, beautiful night scenes of the rear lamps of cars on the highway. What you draw with light is immediately visible on the screen. What you draw with light is immediately visible on the screen. Moreover, you can pause the shooting, go to the screen and see what has already happened and continue from the same place! Even in this mode it’s very cool to shoot bonfires — you can wait until a weak flame is painted in a huge chic bonfire! The Low Light mode generally avoids the use of a terrible iPhone flash in low light conditions. This mode is for those who want to control every aspect of shooting with a small amount of light. You probably have no idea what the iPhone/iPad camera is actually capable of at night! 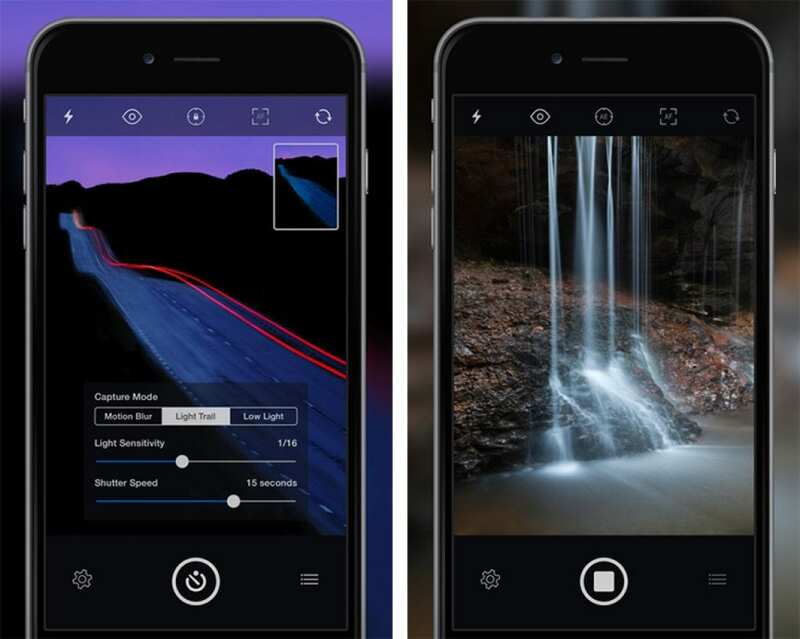 The application allows you to transfer the motion, freezing it or tracing it, highlight objects, make waterfalls silk, and turn the waves into a surreal creeping fog. The speed of the closing shutter in the range from 0.5 to 15 and infinity. Live mode — the result of the survey is visible in real time. Ability to adjust the exposure of the footage, blocking the exposure. Select image quality (low, medium, high). Detailed instructions for using the application. Flexible setting of work parameters. The application is quite inexpensive and will not be a burden to your wallet. So feel free to download and use!